The Wife of the Governor of Lagos State, Mrs. Bolanle Ambode has welcomed first babies of the year 2018 with various gift items and advised expectant mothers to justify government’s huge investment in maternal and infant health care, by staying away from quacks and patronizing government’s health care facilities. The advice came in her message at Ikorodu General Hospitals, one of the venues of the celebration of the first baby of the year 2018, organized by the Ministry of Health and the Office of the Wife of the Governor. Other centres selected for the celebration of the programme this year, were Gbagada General Hospital and Island Maternity, Lagos. Mrs. Ambode noted that the administration had made heavy investments in primary health care, to eliminate maternal and infant mortality, adding that the only way to appreciate government’s effort would be by putting those facilities to good use. ‘I am aware that this administration makes health issues, especially maternal and infant health, a top priority. As part of our own efforts, the health sector has been provided with high dependency units, neo-natal care units, other medical equipment and resources to enhance the quality of maternal and child care services. We are poised to do more this year’. The governor’s wife who further said that nursing mothers should take post-natal services seriously as it mattered greatly to the good health of the new born, advised them to also pay attention to their own health. ‘I wish to emphasize that post natal care of the baby is just as important as the ante-natal. Therefore, mothers must take all necessary steps to ensure the well-being and good health of their babies. These include strict obedience of instructions of the medical personnel, as well as good care and attention to themselves’. Mrs Ambode counseled parents on the advantage of routine immunization provided by the state government through the primary healthcare centers to protect their children and the importance of birth registration upon delivery. 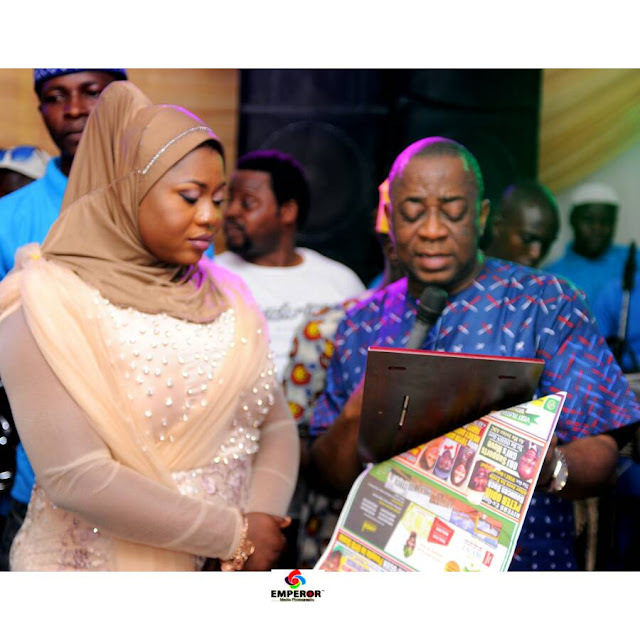 She also used the opportunity to thank corporate bodies and individuals who had assisted towards the first baby celebration and for their corporate social responsibility in the health sector, while praising the health family for the good job and praying copiously for the first baby. In his goodwill message, Chairman of the House Committee on Health, Hon. Olusegun Olulade, stressed the commitment of the government to total eradication of maternal and infant mortality, adding that the entire health care delivery chain was a top priority. In his remarks, the Commissioner for Health, Dr. Jide Idris, stated that with the expected implementation of the Lagos State Health Scheme, more Lagosians would have access to improved health services previously not enjoyed. ‘With the exemplary leadership of Governor Akinwunmi Ambode, you can be confident that the state will continue to stimulate the required quality of health service delivery that is poised to address the existing health gaps and new challenges that might emerge in future’. Speaking on behalf of the medical directors of the three hospitals, Medical Director of Lagos Island Maternity, Dr Eniayewun Ademuyiwa, said the medical personnel remained committed and would continue to work round the clock to help the government realize its health care delivery objectives. He thanked the governor’s wife for the health interventions in the hospital by the Committee of Wives of Lagos State Officials, COWLSO, which included an intensive care unit, which he noted, had helped to save many endangered expectant mothers. While presenting birth certificate to the babies on behalf of the National Population Commission, its federal commissioner for Lagos State, Barr. 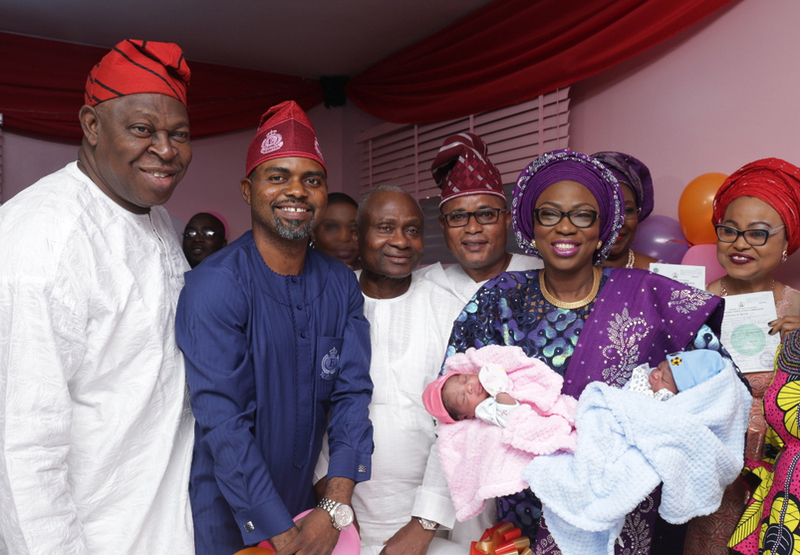 Bimbola Saliu-Hundeyin, copiously commended the efforts of the Lagos State Government through Mrs. Ambode, as the only state that presents birth certificates to the newborn right at the hospital. She showered encomiums on Mrs. Ambode for making the programme a top priority. The first baby at Ikorodu General Hospital was a set of twins, boy and girl, born to Mr. & Mrs. Rahman Kehinde Adeoye, at 12.23 am, weighing 2.9 kg and 3.2 kg respectively. First baby at Gbagada General Hospital was born to Mrs. Ibhadon through normal delivery at 12.05 am, weighing 3.26kg. First baby in the Island Maternity was born by Mrs. Basirat Ikudaisi at 12.05am, weighing 3.3kg. Mother’s packs, baby essentials and other baby gifts were presented to the babies and their parents and other babies in the wards by the wife of the governor. Mrs. Kehinde Adeoye, on behalf of the other mothers, thanked the governor’s wife, the health family, corporate donors and the state government, for the gifts and the good health care in the state, stressing that the Ambode administration had no equal on issues of health. Dignitaries in attendance included the Dep Speaker, Lagos House of Assembly, Hon. Wasiu Eshinlokun, Hon. 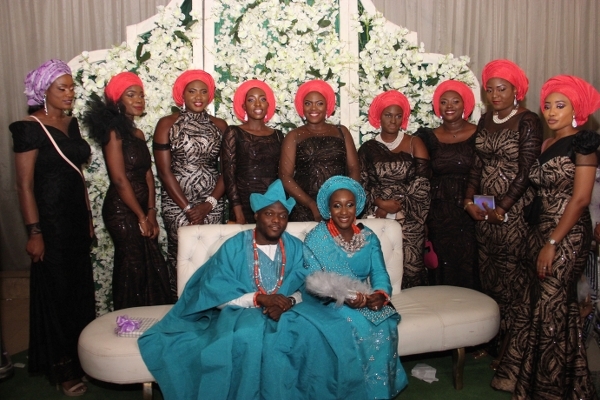 Segun Olulade, His Royal Majesty, Oba Kabiru Shotobi, Ayangburen of Ikorodu and his wife, Head of Service, Exco members, SSA to the President on the Diaspora, Hon Abike Dabiri-Erewa, Permanent secretaries, Health families and several other notable personalities. The programme is held annually in Lagos State on new year day to celebrate the first baby born in the state.